For over 45 years, Now Designs has created fashionable, fun, and functional kitchen textiles, table linens, gifts and decorative accessories for the home. Whether it's kitchen basics, fashionable, trendy designs or gifts for any season, Now Designs' quality and workmanship is unsurpassed. 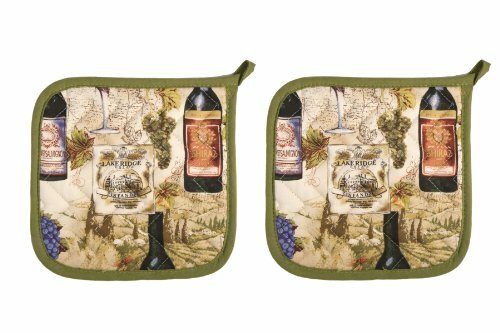 This set of two matching potholders are made of cotton with polyester fill. Silver acrylic coated cotton on reverse side offers major heat protection while lifting and moving items from your stove or oven. Set includes two matching potholders, each measuring 8 by 8-inch square. Machine washable. If you have any questions about this product by Now Designs, contact us by completing and submitting the form below. If you are looking for a specif part number, please include it with your message.